You pour your time and energy into yet another piece of content, and then it happens. No shares. No comments. Just crickets. If this scenario sounds familiar, you’re certainly not alone. 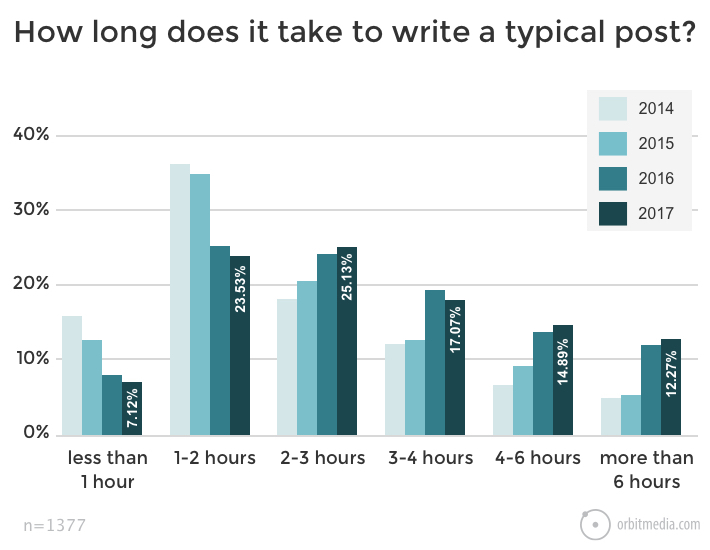 Given the average blog post takes well over 3 hours to write according to Orbit Media, marketers should do everything they can to score a better ROI for their content creation. This rings true for written posts, podcasts, video scripts and everything in-between. And don’t assume you’re a lousy content creator, either.Chances are you have the chops, but you’re just not giving your content that much-needed boost it deserves. Pushing your content to social media is a no-brainer, but it’s fine details of how much and how often that go overlooked. For example, if you’re solely publishing your pieces of content to Twitter or Facebook the moment they go live, you’re sabotaging your reach. No matter how you slice it, social media moves quickly. Publishing content multiple times per day to multiple platforms has become an expectation of brands maintaining a social media calendar. Think of content amplification via social as a numbers game. 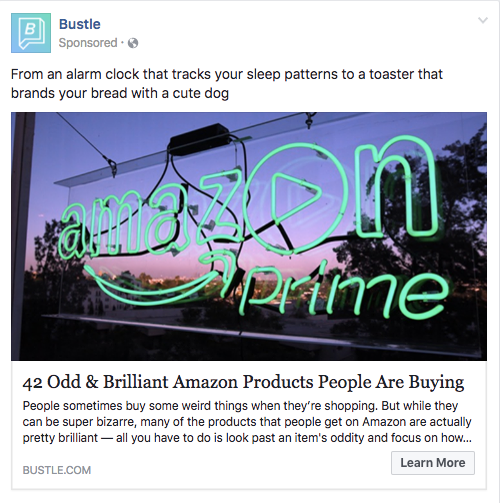 The more often you post (within reason), the more opportunities you have to snag the attention of a reader that might otherwise sleep on your content. Even massive brands with millions of readers know that “one and done” isn’t the way to go. Take Virgin’s Richard Branson as a prime example, promoting the same piece of content through two different Tweets within a relatively short span of time. Notice how these Tweets promote the same piece without parroting themselves. With totally unique descriptions, photos and hashtags, the posts feel fresh despite pointing to the same page. As long as you’re making an effort to present your content as something fresh rather than constantly repeating yourself, you’re golden. That’s the beauty of using a social scheduling tool like Sprout. You essentially create a content calendar that’s filled with unique content and not just the same posts recycled again and again. 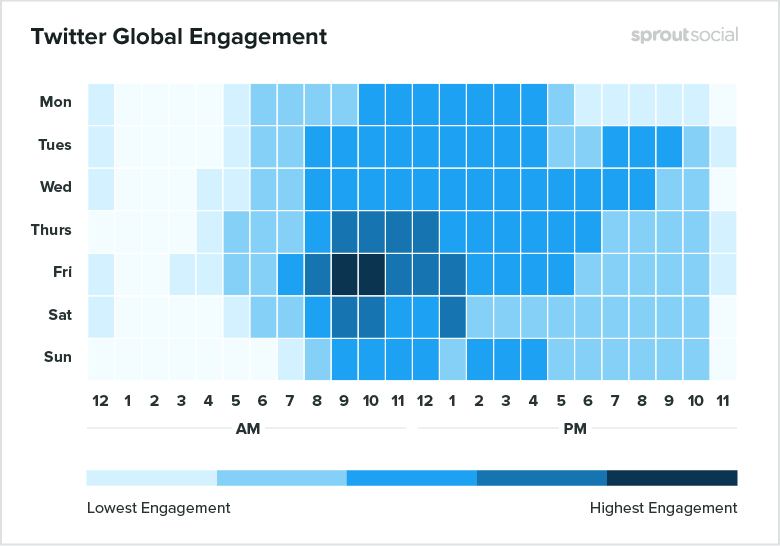 Oh, and Sprout also helps you tap into the best times to post on social media. Optimizing your post timing for engagement ensures that you’re posting when your target audience is most engaged and likely to comment, share or like your content. 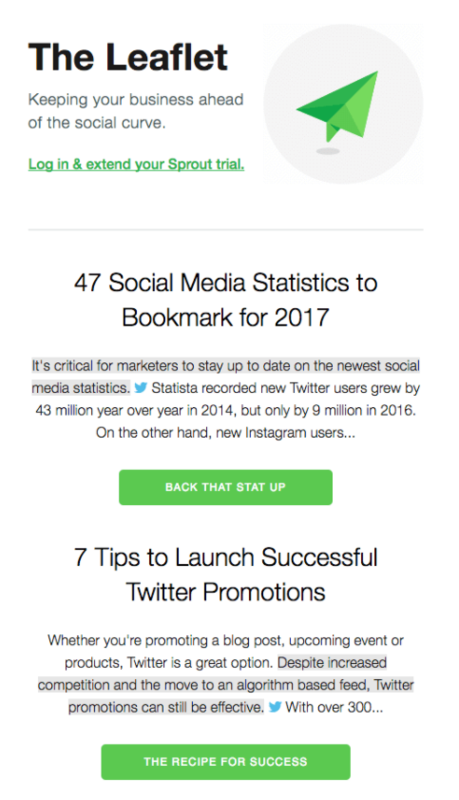 Oftentimes, you’ll notice that the top blog posts out there are rich with screenshots, shout-outs and citations. Not only does this represent engaging content, but it’s a smart way to encourage others to promote your pieces for you. When you discuss someone else within your content, whether it be someone in your industry or a relevant influencer, you instantly open up opportunities to let them know they’ve been featured. In addition to traditional outreach, tagging people or brands via Twitter or Facebook is another way to make it happen. And speaking of tags, don’t forget how adding a hashtag to any given post on Twitter or Instagram can instantly increase your posts’ reach. Making it easier for relevant followers to find you, tacking on a tag only takes a few seconds and is well worth the “effort” involved. According to a 2017 Stackla research report, consumers trust content and recommendation shared by their peers far more than brands. As such, it pays to tap into your own network of customers and employees versus solely posting from a business account. Think of these brand advocates as your own squad of people ready and willing to share your content, giving a personal touch to your brand in the process. This is exactly why so many brands and organizations team up with Sprout Social and Bambu, our employee advocacy software. Bambu allows brands to gain exposure to fresh and highly qualified audiences through your own employee’s social media connections. 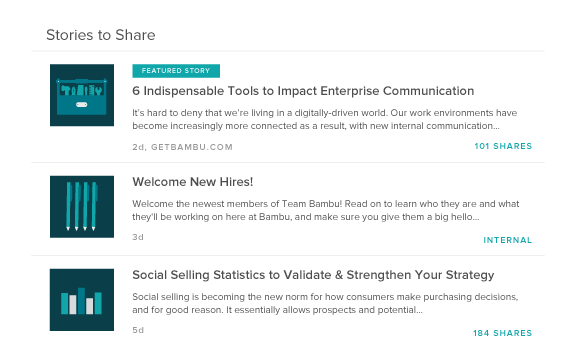 Specifically, Bambu taps into your workforce to help make employees into brand advocates by sharing pre-approved content. Did you know roughly 70% of your workforce log into social media sites at least once a day while at work? If you want true content amplification, see how our simplified amplification and distribution tools can help you align your content’s message while reaching new audiences. Applying this principle across Twitter, Facebook and LinkedIn alone, you can imagine the potential value of having your advocate army for greater reach. Encouraging content amplification via advocates introduces your brand to hundreds or thousands of potential followers who might otherwise never hear from you. Start your Bambu demo today! Not all pieces of content are equal in terms of reach. When you consider the popularity of video on Facebook or how heavily infographics are shared on Twitter, it’s clear different types of content perform better on various platforms. Brands of all shapes and sizes should explore time-efficient ways to repurpose content. Content amplification means experimenting with tools and platforms, but also new mediums. Dig up some awesome data for your case study? Convert it into an infographic using free image creation tools. Record a podcast or interview with someone in your industry? Upload it to YouTube or use the transcript as the basis for a blog post. Looking to jumpstart your presence on LinkedIn or Medium? Start republishing your blog posts there. These content amplification tactics represent quick ways to stretch your pieces and simultaneously fill up your social calendar. Reality check? Sometimes you have to “pay to play” when it comes to marketing. The key is getting the most bang for your buck. And given recent changes to the Facebook’s algorithm, paid tactics such as running an ad or sponsored post look more enticing. While you shouldn’t expect to pay for exposure for each and every piece of content, Facebook ads are a solid starting point. This is true for building buzz for something epic like a massive case study or ebook launch. Also, don’t neglect the power of email marketing as a paid channel for content amplification. Promoting your blog posts or latest pieces as part of your newsletter flat out makes sense in an era of information overload. 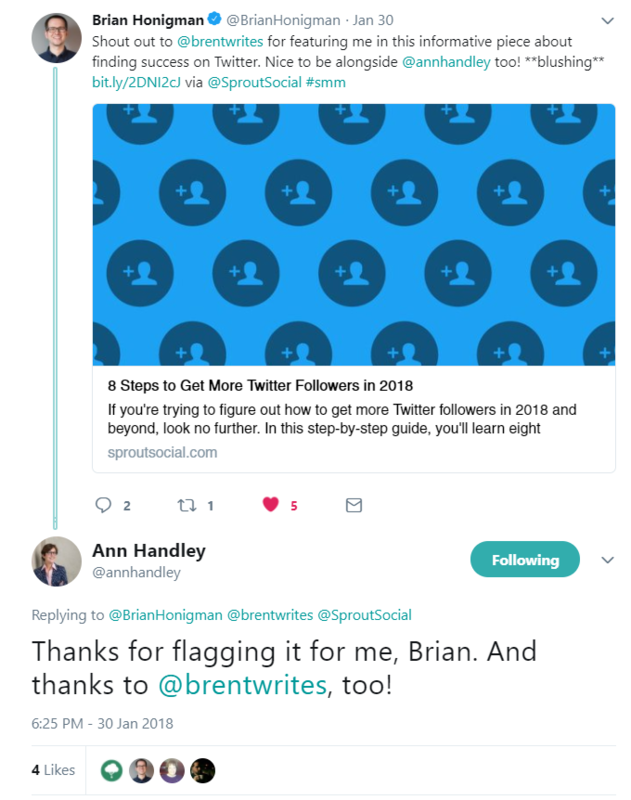 With the public at large checking their email multiple times per day at the very least, emails can help you catch the attention of those who possibly missed your latest blog post or Tweet. Promotional outreach via email, social or even blog commenting is valuable if (and only if) done correctly. For example, there’s a big difference between a personally tailored email asking someone to share your latest case study versus spamming the same message to hundreds of influencers in hope for a bite. If you regularly network with others in your industry and contribute to blogs, you have a greater chance of others taking interest in you. This is true as long as you stay away from templates and only reach out to those relevant to your brand. If you’re looking to increase social shares specifically, consider whether or not you’re actually giving your audience the opportunity to do so. Are you regularly asking questions of your audience (like the one at the end of this post)? Do your social posts and pieces of content include some sort of call-to-action? Do you include quick links to social sharing options (think: AddThis) so your audience can spread the word at a moment’s notice? The easier it is for your followers to share and engage with your content, the more likely it is to spread around. Sometimes it’s the most subtle aspects of our content that have the most significant impact on reach. While we never want to resort to clickbait headlines, an intriguing, hard-hitting headline will always beat a generic, keyword-stuffed one. Titles can be make-or-break in terms of shares, especially on social media. Content should ideally be presented in a way that grabs your readers’ attention or speaks directly to a problem that they need to be solved. 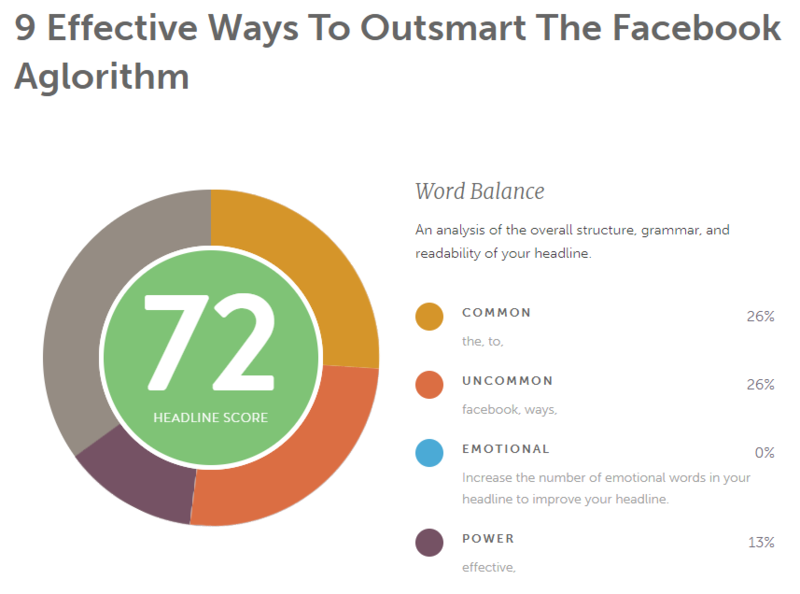 And if you’re struggling with titles or want to ensure you’re ticking the right boxes, tools such as CoSchedule’s headline analyzer help. Not unlike your headlines, content previews such as your featured image and meta descriptions are important pieces of hooking your audience. Whether it’s colorful illustrations like the ones we use at Sprout or some sort of eye-popping stock image, a powerful preview can definitely encourage more clicks. Just think about how much work goes into something as simple as a YouTube thumbnail could be the difference between a new viewer and someone bouncing. According to Buzzsumo, there’s a direct correlation between how many shares written content receives and how many images appear throughout the piece. In other words, frequent imagery and ability to quickly scan content encourage engagement. Considering that we’re serial scanners in the age of smartphones, this makes perfect sense, doesn’t it? Breaking up your content with visuals and sub-headers makes it friendlier to scanners. When someone sees at a glance that you’ve created something worthwhile, then they’ll be more likely to give you their attention for a proper read-through. Avoid blocks of text or skimpy content that only covers surface level information. While there’s nothing wrong with the occasional short-form piece that gets to the point, you can’t hope to grow much of a following if your pieces don’t have much meat on them. And on a related, final note: you can’t hope for effective content amplification without strong pieces of, you guessed it, content. The definition of what makes a “good” piece of content is vague, so let’s talk about what makes a piece of content share worthy beyond headlines and format. 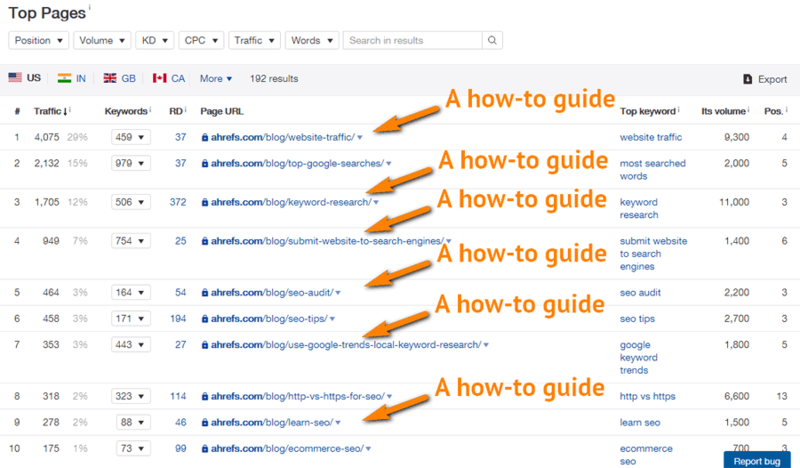 As noted by Ahrefs, many brands note that their best-performing content comes in the form of how-to’s. Focusing on problem-solving is always a plus not only for labeling yourself as a resource, but scoring valuable “how to” keywords for SEO. Looking at some of the more heavily shared and commented posts on Sprout can further attest to this. Our best times to post on social media report, broken down with in-depth, first-hand research, is a prime example. Readers are oftentimes hungry for new data point and statistics to cite: when you become that resource, your content becomes exponentially more valuable. There’s also a reason why long-form content and listicles like our 41 must-have digital marketing tools perform so well. Such pieces do double duty of not only solving problems in detail but serve as scan-friendly by following a list format. Similarly, those struggling for shares should ask themselves: are you emphasizing quality or quantity when it comes to your content? Sharing actionable, easy-to-digest content will always beat out fluff. What Are Your Go-To Content Amplification Tactics? Effective content marketing is all about consistency, and that includes promotion. Bear in mind that none of these strategies represent a “silver bullet” on their own. Combined, however, you can look forward to more shares and eyes on your content that otherwise might fly under a radar. Remember: so much of content amplification is a numbers game. Given how little effort and resources most of these strategies take to roll out, it’s most definitely worthwhile to rethink how you amplify your content for the sake a better ROI. But we want to hear from you! What are your favorite tactics for getting your content out in the open? Any secrets to scoring more shares and traffic in general? Let us know in the comments below.